The 10 Best Breakfast Spots in Nebraska! Breakfast is the most important meal of the day and Nebraskans take it very seriously. There’s no shortage of hearty, homemade breakfast joints across the state—most of them serving breakfast food favorites all day long. From diners to dives, here are the 10 best places to grab breakfast in Nebraska. Over Easy is one of the hippest breakfast joints in Omaha and serves up American breakfast food classics with a twist, such as homemade pop tarts. But what really makes Over Easy stand out is its drive-thru that allows you to grab a fresh breakfast made with high-quality ingredients on the go! For an excellent breakfast and generous portions, The Green Gateau in Lincoln is a local favorite. This quaint, cozy breakfast spot shines when it comes to their eggs benedict and stuffed French toast! Penny’s Diner in North Platte is a 50s-themed train car diner open 24 hours a day so you can enjoy breakfast any time you please. Portions are so big you’ll definitely need a nap after a meal here. Lisa’s Radial Cafe is a staple when it comes to classic, diner-style breakfast places in Omaha. If you’ve got a serious appetite, Lisa’s Radial Cafe has a “Titanic” breakfast on the menu, which consists of a chicken fried steak, hash browns, eggs, and biscuits all covered in gravy. Cultivate in Lincoln is a breakfast lover’s ultimate destination. 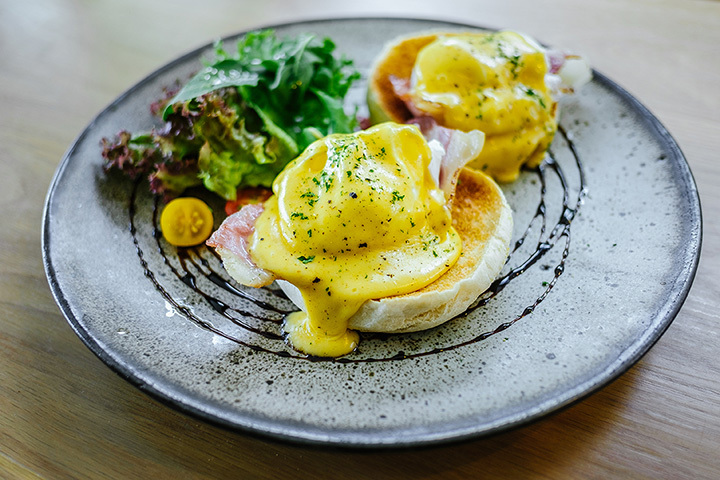 Delicious coffee, and flavorful breakfast items, such as its specialty Johnny Cakes, will definitely keep you coming back on the weekends for more. Located in downtown Omaha, Culprit Cafe and Bakery is famous for its homemade artisan baked goods and delicious breakfast options. From beignets to frittatas, everything is made from scratch with lots of love. Penelope’s Lil’ Cafe in Lincoln is home to the ultimate menu of “comfort” breakfast foods. Whether you go for the biscuits and gravy or breakfast omelet, Penelope’s consistently serves up great homemade breakfast favorites! This family-owned cafe is just the place for a homemade breakfast like your grandmother would make. The service is super friendly and will make you feel like you’re home! When it comes to breakfasts, 11-Worth Cafe has been an Omaha favorite for decades. For a hearty yet affordable breakfast, stop into 11-Worth Cafe early for breakfast specials, or anytime for their famous sausage gravy and biscuits! No matter what you order at Mac’s Cafe in Fremont, you can’t go wrong. Tasty breakfast items include a chicken fried steak with hash browns or sweet cream pancakes. The small-town charm and friendly atmosphere make it a Nebraska breakfast spot not to miss.